Do you have a sweet tooth? Then you will get a rush out of playing Sugar Rush! 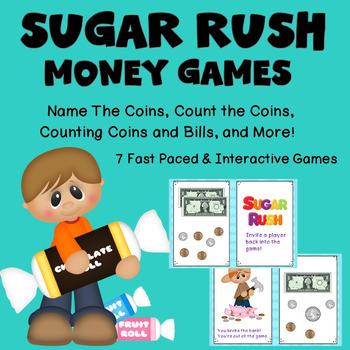 This listing includes 7 money themed games! 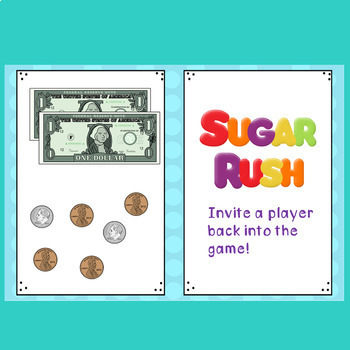 Sugar Rush is a fast paced game that is sure to bring out the fun in learning for your entire class! 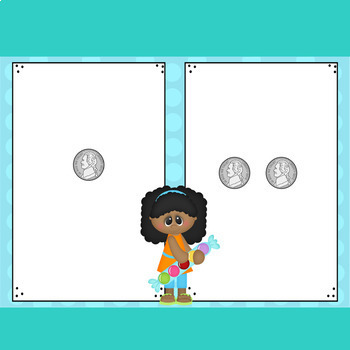 Players work as a team to answer money related questions correctly and avoid the dreaded You Broke the Bank card. This game proves to be my student's favorite way to review content each and every year. Divide your students up into two teams. Each team will line up in single file lines facing the board that you will be displaying the game on. When game begins, the team members at the front of the line will step up and try to be the first person to correctly call out the answer to the problem that appears directly in front of them. The first player to answer their question correctly will rejoin their team and go back to the end of the line. The losing player is out and must take a seat but that doesn't mean that they are out for good! Hidden within the slides are cards that will determine the outcome of the round. If you land on a SUGAR RUSH card, you get a free pass AND get to invite a team member that is out back into the game. If you land on a BROKE THE BANK card you are automatically out of the game. The game ends when only one team is left standing. 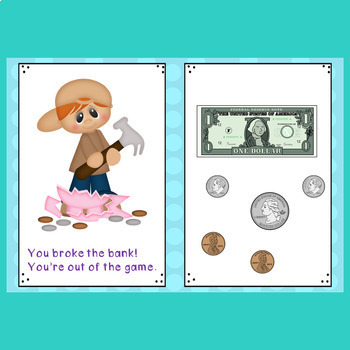 An alternative version of the game is also provided along with point cards. You can play Sugar Rush with the point cards and no student is put out of the game, instead they lose all of the team points if they pull a BROKE THE BANK card in the game. This gives you several ways to play the games. Each game is 50 slides long. This was a suggestion of my own students who loved the games and begged for them to be longer!! Also included are instructions for various game play and printable point cards. Don't forget to leave feed back and earn credits for your future purchases! Make sure to follow us so you will be notified when we add new products and to get in on our sales!